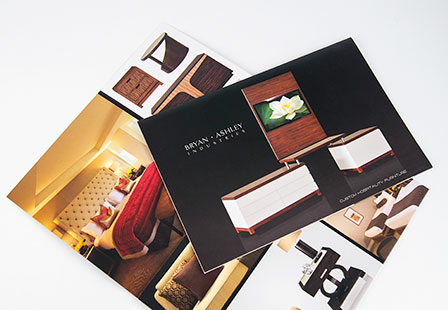 Why print custom brochures and flyers? They continue to be a reliable marketing tool for any size business. With business brochures, you can demand attention and make a powerful statement about your company, product, service or special announcement. They are affordable, practical and versatile. Hand them out at trade shows, conferences, or display at a product stand for pass byes to grab on the go. Whether you are using them for a business or as an event flyer, we can help. Select from a large variety of folding options including the classic Tri Fold, Half Fold, 4-Panel fold, Z Fold and sizes to meet your marketing and business needs. Other creating ways you can use print brochures and flyers include menus, recipes, resumes, maps and more. Please Select 3.67" x 8.5" 4" x 8.5" 4" x 11" 4" x 12" 4.25" x 11" 5.5" x 8.5" 5.5" x 17" 6" x 9" 6" x 11" 6.25" x 9" 6.25" x 11" 6.5" x 9" 7" x 8.5" 7.5" x 8.5" 8" x 9" 8" x 10" 8.5" x 11" 8.5" x 14" 9" x 12" 9" x 16" 11" x 17" 11.5" x 17.5" 12" x 15" 12" x 18" 17" x 22"